I signed up for the 2016 Hyannis Half Marathon because I'd received free entry in exchange for volunteering at bib pickup for another race. I figured if I was going to log a long marathon training run in February, I may as well do it with a couple thousand running buddies. 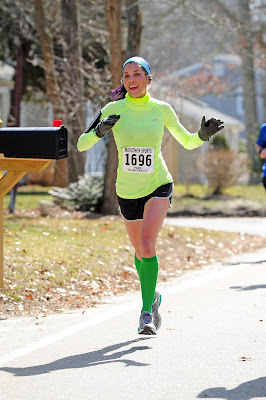 As the race approached, I prepared myself to embrace the inevitable discomfort of running amid any variety of unpleasant winter weather fated to befall Cape Cod in late February. In 2015, the race was canceled following unprecedented snow. I certainly did not predict we'd be gifted with a sunshine-filled day of perfect running conditions. I picked up my weekend race companions, Becca and Jernej, and we drove together from Boston to spend the night before the race on Cape Cod. Crossing the Sagamore Bridge onto the Cape on a Saturday afternoon in the off-season was a dream. No 15-mile backup in February! Hyannis is located on the region of Cape Cod known as the "Mid Cape". On a map, you can find it on the tricep of the Cape Cod flexed arm. It's a major commercial and transportation hub, and the primary ferry link to Martha's Vineyard and Nantucket. Our first stop was the Resort and Conference Center at Hyannis to pick up race bibs. The expo had all the good old-fashioned race expo stuff: Running gear for sale, representatives from a handful of obscure races, vendors peddling snake oil remedies to cure all running ailments, and piles of cheap headbands plastered with cringe-worthy sayings. But there was one thing that made this race expo special. I met four-time Boston Marathon champ Bill Rodgers. He was patient and loquacious and he gave me some marathon training advice! Next stop: The beach. The Cape Air was salty and we collected good luck shells. After picking up groceries, we finally made our way to our cute AirBNB rental in a barn in Sandwich. We cooked up homemade pizza, laid out our race outfits, and turned in for a good night's sleep. The Hyannis Marathon, Half Marathon, Marathon Relay, and 10K all start together in front of the Resort and Conference Center. This is a 13 mile loop course, with half marathoners completing one loop and marathoners completing two. The course follows paved, mostly residential roads and winds past Hyannis Harbor, the Kennedy Family Compound, Kalus Beach, Craigville Beach, and through Hyannisport and Centerville. The stretches along the beach were sunny, but exposed to wind. Although the roads were not closed off to traffic, there were few cars on the roads and race crew did a great job directing runners. There were 8 aid stations offering both water and Gatorade. The route was mostly flat, with a few gently rolling hills and many turns, which provided changing scenery and helped me stay engaged. My training called for 16 miles of running on the day of the race. Fortunately, this race has a luxuriously late 10 am start time and my companions were willing to arrive early so I could squeeze in a pre-race warm up run. Parking was easy and the conference center, though crowded, was warm and had bathrooms with modern plumbing. I set out on the quiet streets for 3 peaceful miles. I arrived back with time to wander over to the start line corral and snap a pre-race photo with Becca. It was 43 degrees with abundant sunshine and some breeze. Perfect for running. I've never felt so relaxed crossing the start line of a race. Instead of launching myself like a loaded spring, I glided across the timing mat. The pre-race warm up run had me feeling totally at ease. I had resolved to run conservatively and by feel. No checking my watch and no pushing outside the zone of total comfort. I reminded myself to treat this like a training run. The first miles took us out to Hyannis Harbor and past the island ferries. It was flat, with some gradual downhill stretches. With more than 2000 half-marathoners, 366 marathoners, 52 marathon relay teams and 400 10K runners in the field, the first mile did feel crowded, but it wasn't difficult to get around other runners on the paved residential roads and the field spread out quickly. After the mile 4 marker, we ran briefly along a beach. Apparently the Kennedy Compound was somewhere in here, but I didn't notice it. There was a short hill in mile 5. I found a rhythm and felt relaxed. Right around the 6 mile marker, we began a long, straight stretch of running toward Craigville Beach. The wind really opened up as we ran past this beach, and I tucked in behind the shoulder of a taller male runner, who buffered the headwind for me. This was the first time I've ever attempted the strategy of "drafting" during a race. I don't know how much energy it saved, but it felt better not to have wind whipping in my face. After the beach, there was a gradual hill climb in to mile 8. There were lots of turns, which I found pleasantly distracting. We ran by a cranberry bog. So Cape-y! Just before the mile 10 marker, we turned right onto Route 28. This was the only major road we ran on, and I think we ran along it for less than half a mile. Though the running lane was coned off to the narrow shoulder, the field of runners had spread enough so there was plenty of room to pass. Somewhere around mile 11, I realized I was feeling really strong and had a ton of gas in the tank. I'd been meticulously disciplined so far about maintaining a conservative pace. Why not have a little fun? 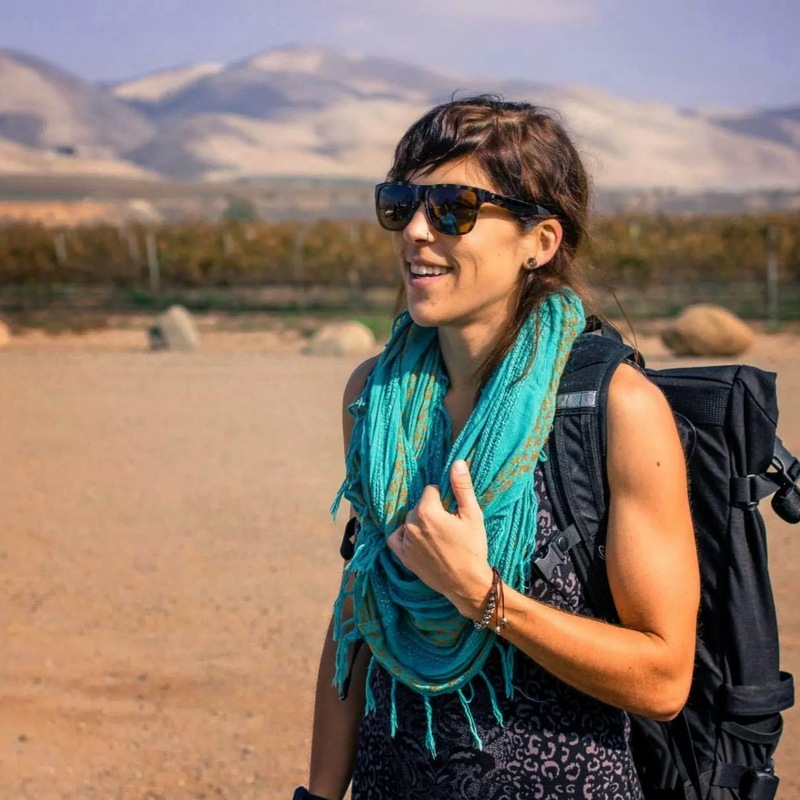 I pumped my arms and grinned as I began to reel in and pass people one by one. At 6:50, my 13th mile was my fastest. I finished the race in 1:36:36. It wasn't a particularly fast race for me, but it felt tremendously enjoyable from start to finish. I was the 202nd runner and 17th in my age group. Jernej had finished a few minutes ahead of me, and Becca finished a few minutes later. 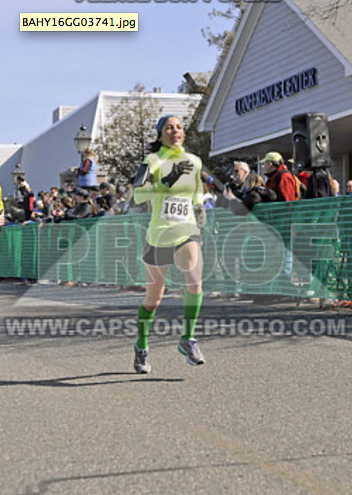 She crossed the finish line looking ridiculously graceful, as always! We stuck around to explore the post-race festivities, which were thankfully located inside the conference center. There were plenty of bananas, bagels, and fruit to go around, along with minestrone soup, adorable tiny Dunkin Donuts coffee cups (iced, too, because New Englanders love Dunkin Donuts iced coffee, even in February), and donuts. 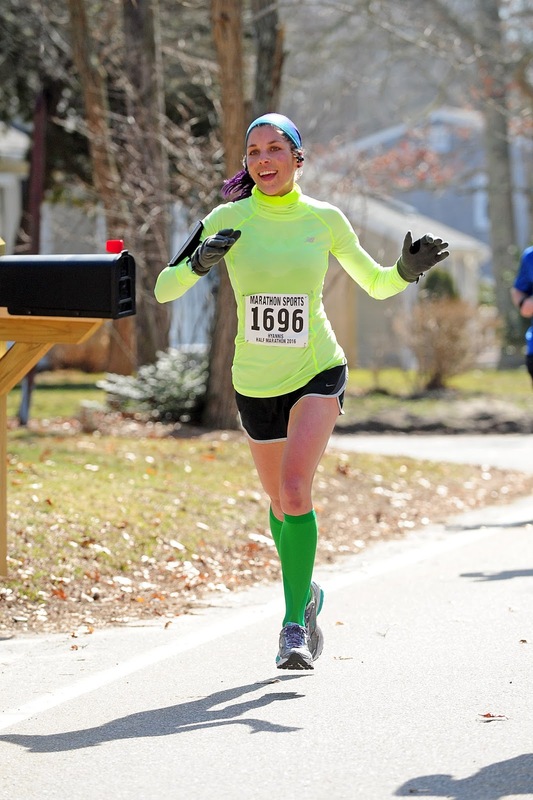 Bottom Line: The Hyannis Half Marathon was a well-organized late winter race that had the atmosphere of a by-runners, for-runners event. The logistics were straightforward. The competition was fast. The course was lovely and reasonably flat, albeit windy. So long as mother nature is kind, I highly recommend this race.